Today, City Connects hosted our annual spring gathering of community partners. 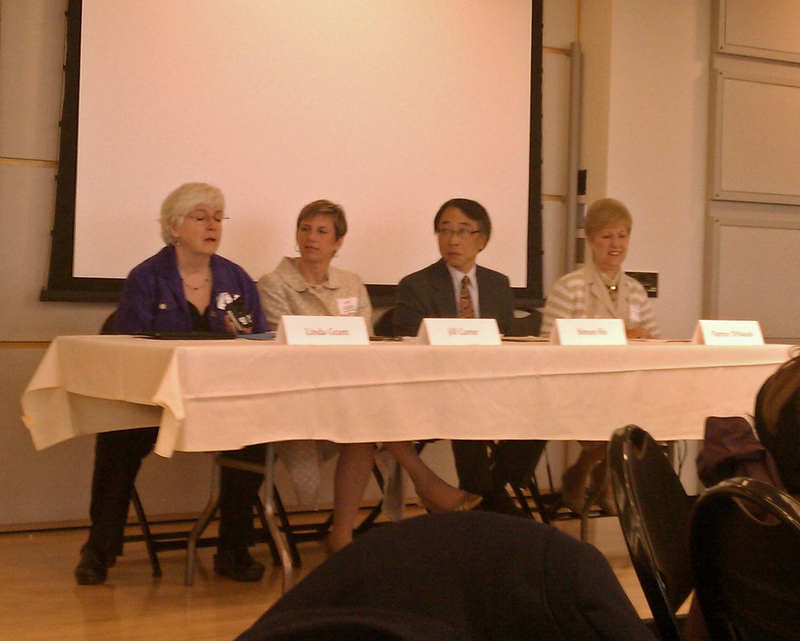 The meeting, “Creating Dynamic School Partnerships to Increase the Health and Wellness of Students,” featured a panel discussion with (pictured left to right) Dr. Linda Grant, medical director of Boston Public Schools (BPS); Jill Carter, executive director, Health and Wellness at BPS; Simon Ho, principal of the Josiah Quincy School; and Pat DiNatale, director of new practice for City Connects. Panelists discussed the need to coordinate services and fully integrate health into education to better serve students holistically. Dr. Grant emphasized the crucial role school nurses play in supporting the health of individual students while simultaneously developing knowledge of school-wide health concerns. Jill Carter gave insight into the efforts of the newly formed BPS Office of Health and Wellness and suggested that community partners establish relationships with “Wellness Champions” in the schools they serve. Simon Ho shared the steps his school took to promote student health and wellness that resulted in a Bronze Award from the Alliance for a Healthier Generation. Pat DiNatale discussed the New Balance Foundation Health and Wellness curriculum piloted this year by City Connects and gave thanks to all of the partners with whom City Connects works to promote healthy development of students. City Connects believes that health is a crucial component to student support–click here to learn more about our philosophy.